The OBHA has partnered with HockeyFest- Game On! 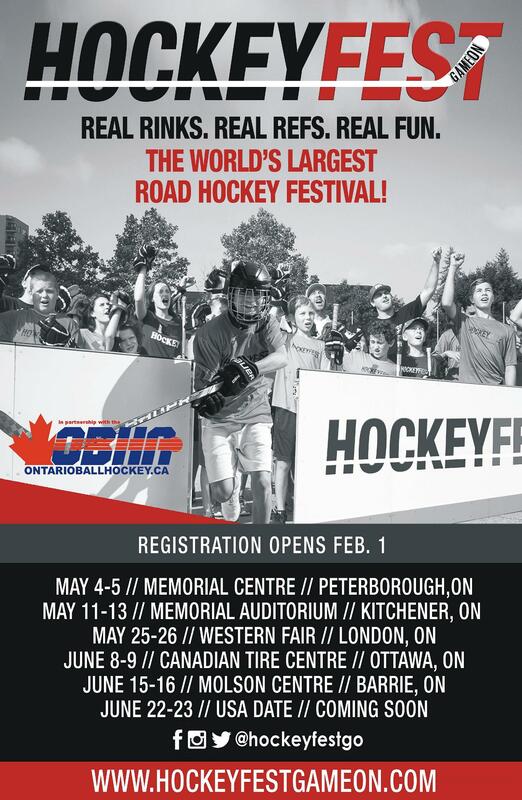 The World’s Largest Road Hockey tournament that will be travelling to 5 Ontario cities this coming summer, Peterborough, Kitchener, London, Ottawa and Barrie. HockeyFest - Game On! is the world's largest road hockey festival. Real Rinks. Real Refs. Real Fun.